GitHub - arkokoley/saadhn: A desktop client for JioSaavn, based on the official JioSaavn web app. Built with Electron. 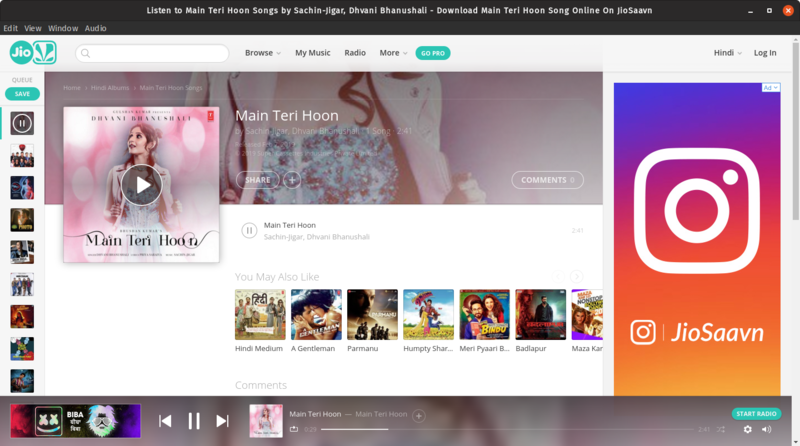 A desktop client for JioSaavn, based on the official JioSaavn web app. Built with Electron. Want to be notified of new releases in arkokoley/saadhn? This is NOT an official product. This project does not attempt to reverse engineer the JioSaavn API or attempt to reimplement any part of the JioSaavn client. Any communication between the user and JioSaavn servers is handled by official JioSaavn Web itself; this is just a native wrapper for JioSaavn Web, like a browser. Download and run the Saavn file from the latest release. Note: Windows and Linux versions are test release. Contributions are welcome! For feature requests and bug reports please submit an issue.